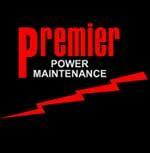 Company Overview: Premier Power Maintenance defines its services in six primary areas: Safety Training, Engineering, Installation, Commissioning, Preventative Maintenance, and Repair. Our goal is to provide customers with a safe, dependable, and uninterrupted power supply. We invest heavily in redundant tooling, test equipment, and team member training, which helps ensure an immediate and effective response to any service request. We have highly qualified field service personnel capable of assuring our customers that all emergencies will be handled promptly and professionally. We take pride in our safety and unparalleled expertise in the field. Job Summary: Execute mechanical and electrical tasks on substation equipment utilized in power transmission, distribution, and generation. Assemble, troubleshoot, repair, replace and clean all components in an electrical substation. o Transformer assembly and disassembly- bushing, radiator, conservator, oil, and arrestor installation.